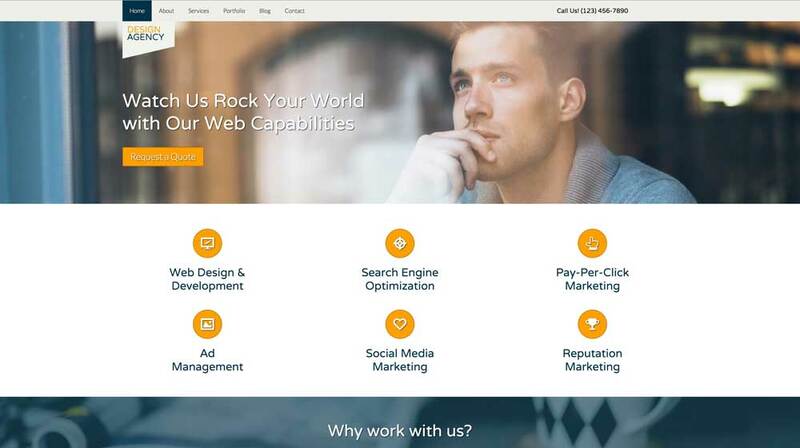 Don't lose valuable time in getting your website online by laboring over custom coding and searching for plugins. 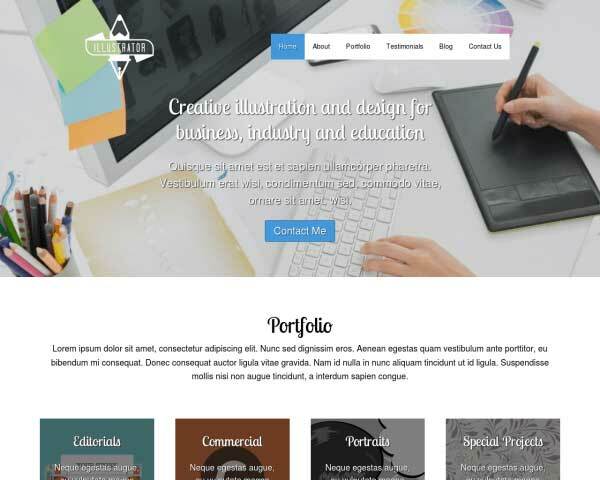 The Design Agency WordPress theme is already set up with a portfolio, pages for your services and more. Just drop in your own text and images! 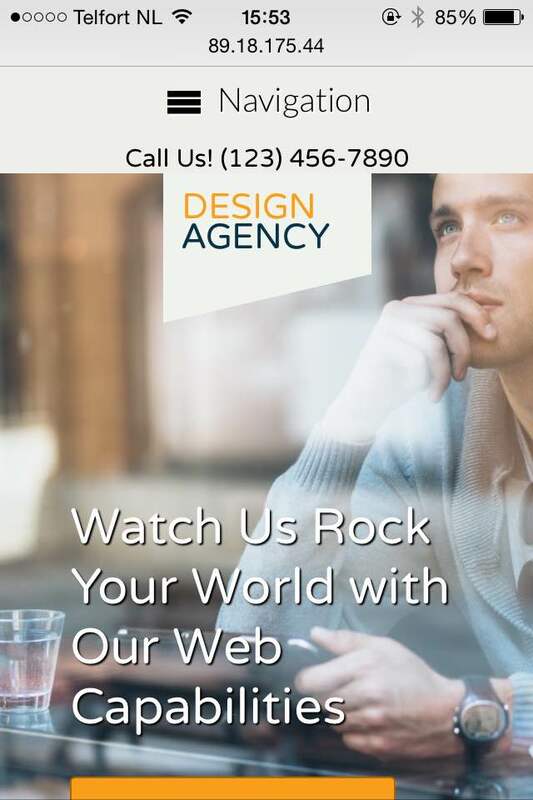 Take a big shortcut in getting your website online fast with the Design Agency WordPress theme! 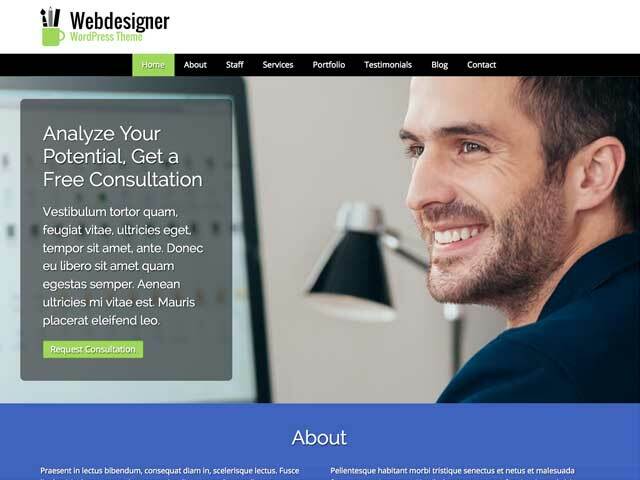 Ideal for web designers, web consultants, or any type of internet marketing agency, this responsive WP template has all the important pages and business features already set up and filled with placeholder content. All it takes to get the job done is fill in your own text and images! 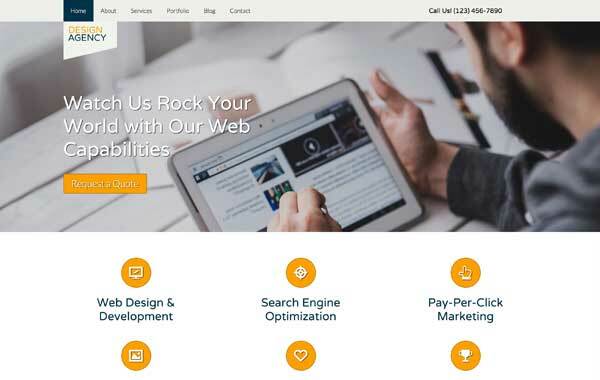 Have some fun customizing the look and feel of your site by changing the color scheme and creating custom page layouts with drag and drop widgets. No coding is required thanks to our powerful front-end editor. We've included lots of useful built-in features that would normally require plugins, like image sliders, customizable contact forms, lightbox image galleries, social media options, maintenance mode, caching, and so much more. You'll also find features for easy integration with Mailchimp and Google maps, docs and analytics. 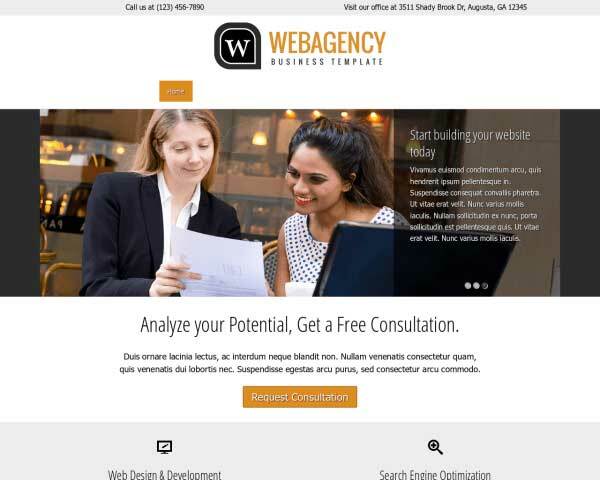 Take a look at our demo site or try it free for three days to see how easy it is to quickly create a sleek, customized website for your business with the Design Agency WordPress theme. 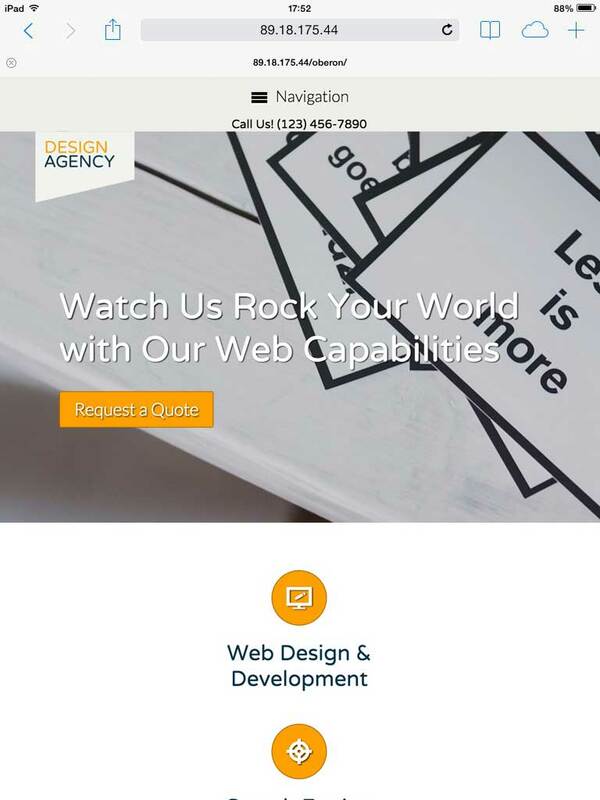 The contact section of the Design Agency WordPress Theme is more than just your address. With a Google map and route planner you actively help your clients. 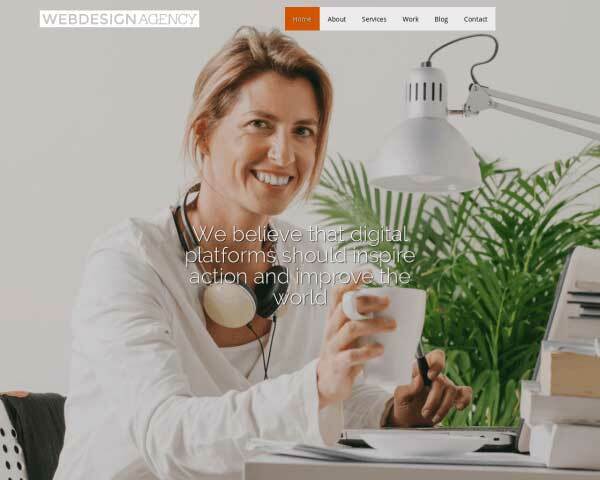 Share your background and approach on the Design Agency WordPress Theme's about page, set up with space for your bio and a profile pic. Easily adjust the layout or add more rows of content as needed. 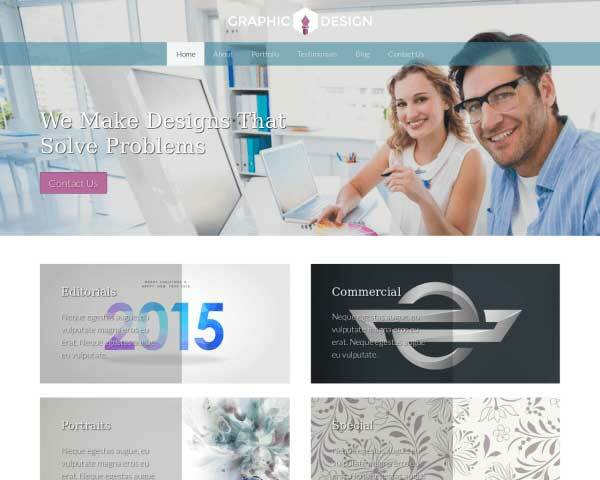 Looking for a WP theme that's mobile optimized right out of the box? 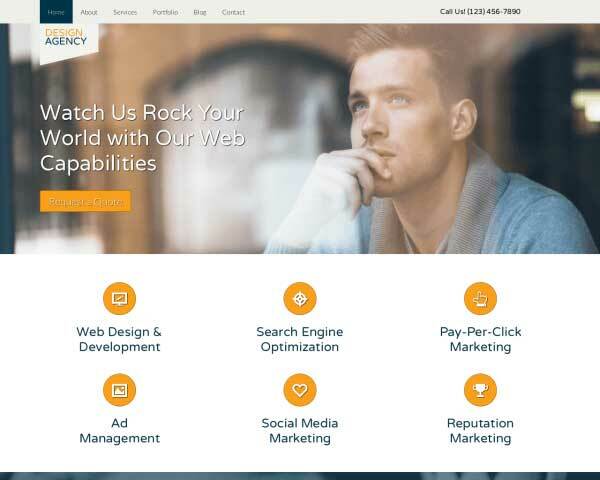 That's just what you get when you build your website with our responsive Design Agency WordPress theme — absolutely no coding, plugins or extra effort required! 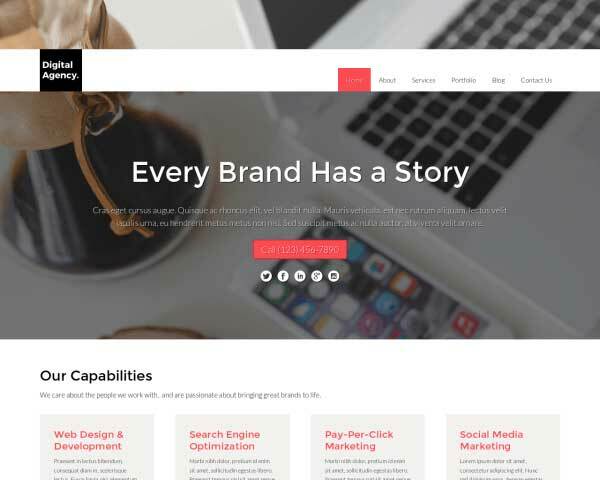 We've designed this theme to automatically adjust the layout of your content to render beautifully at any screen size, so your website will continue to look great on smartphones and tablets even as new devices enter the market. Widgets included in the theme allow you to add responsive videos, image galleries, charts, forms and more.